Our neighbor growing up made the best cookies. Her name was Dolly. From time to time she would come over to visit and bring a tin of her famous sugar and gingerbread cookies. When we saw her walking across the yard with that tin in her hand, us kids got super excited. Her house always smelled like freshly baked cookies any time of year you would stop by. I think she just enjoyed baking them and made sure to have them available to us neighborhood kids. She was like a grandma to all of us. So sugar cookies always remind me of Dolly and I think of her often during the holidays. Her cookies we plain and simple with sprinkles and never had any fancy icing. There was no need, they were just good cookies. 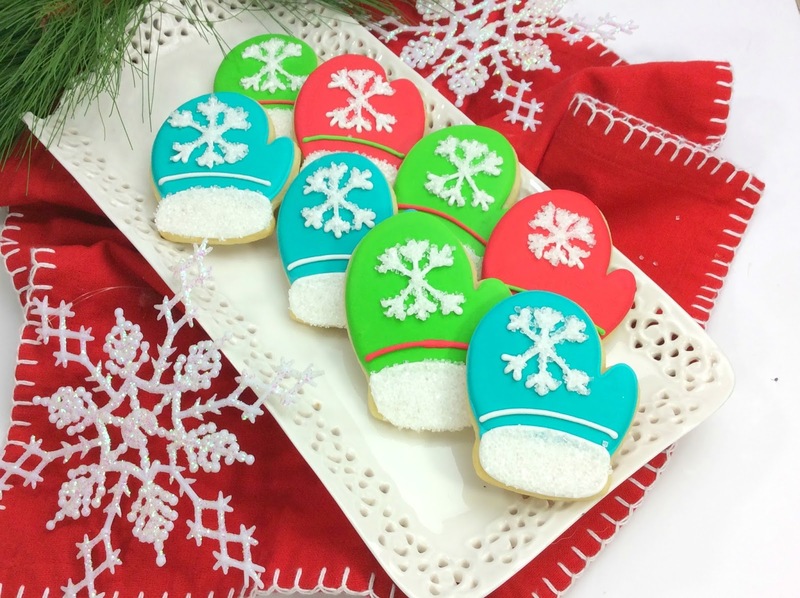 These Snow Mitten Sugar Cookies may look fancy but they are certainly easy to make. Although this recipe is not Dolly's, it is a winner. She shared her recipe with my mom many years ago before she passed and I plan to make those very soon. These cookies will make a great addition on any cookie trays this season. 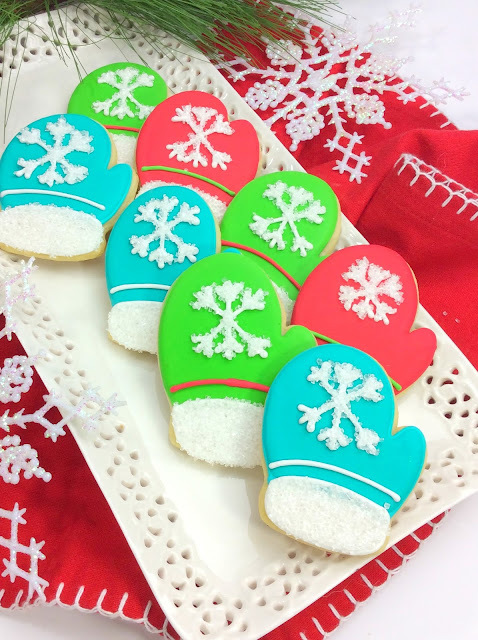 Snow Mitten Sugar Cookies are the perfect cookie to round out all those cookies trays this season. 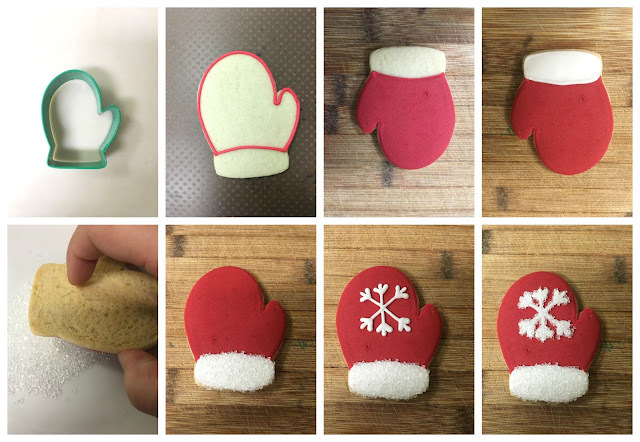 Repeat steps with remaining red and green colors onto the other cookies. Let cookies dry for another hour before enjoying. These are adorable! You are a pro at decorating them. I know they are yummy too!